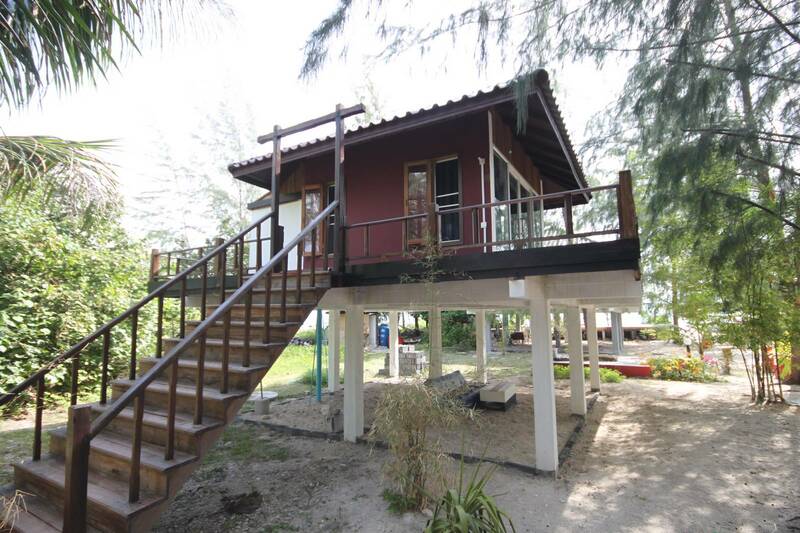 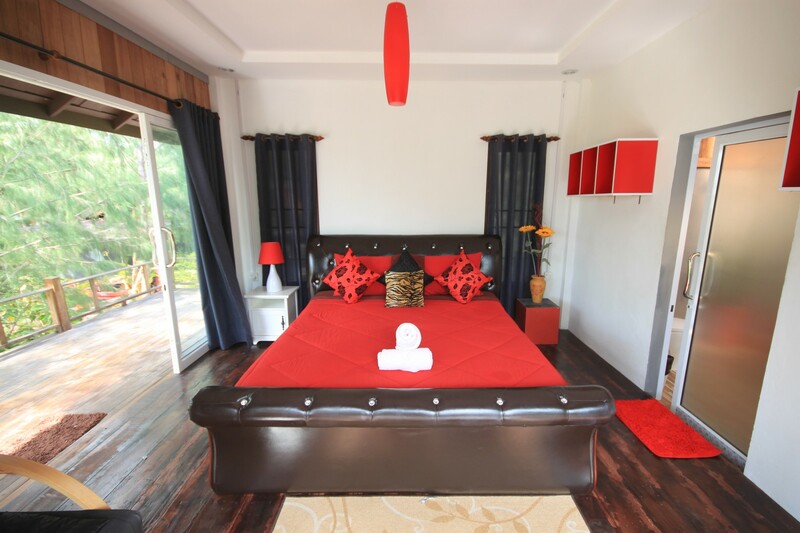 A sea view bungalow that has a large room with a large comfortable double bed. 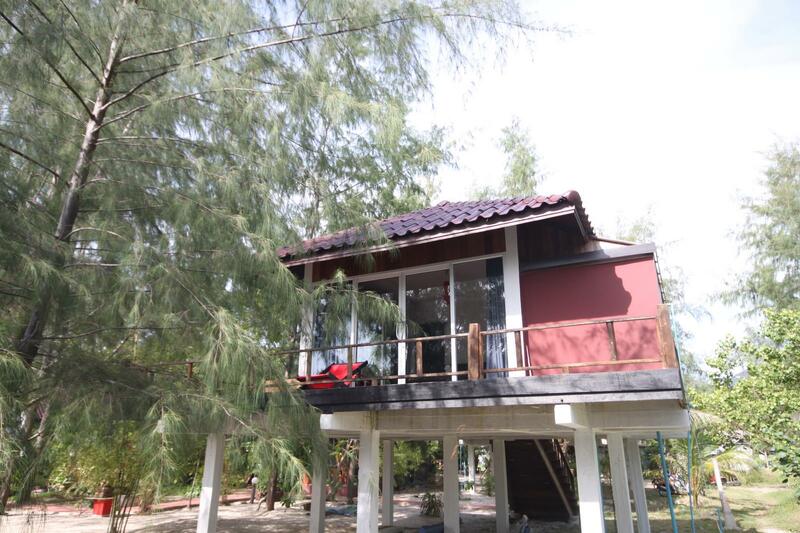 This bungalow has a nice sized bathroom with toilet and hot shower. 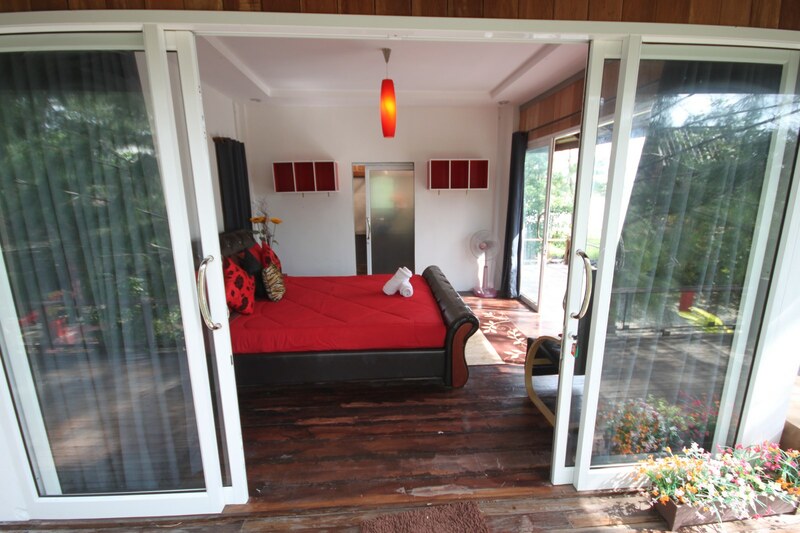 The room has large sliding doors which keep it quite cool from the sea breeze. 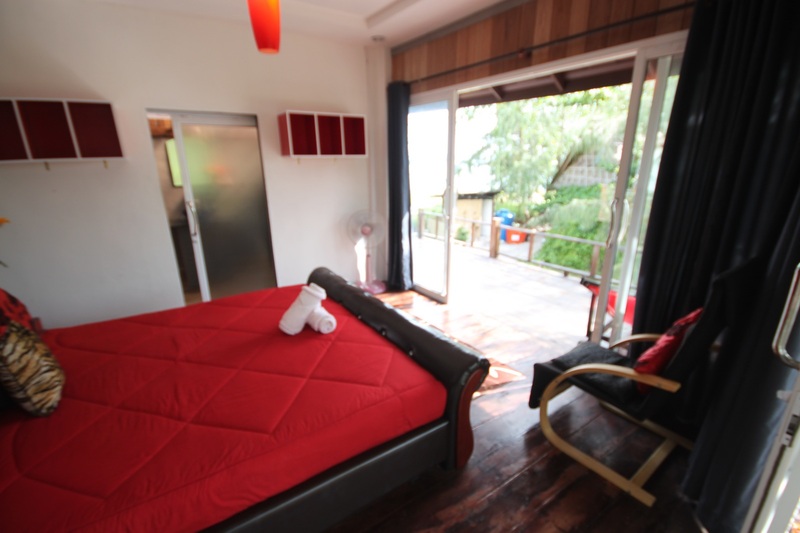 The room has air-conditioning, fan and the room opens from both sides to the outside terrace. 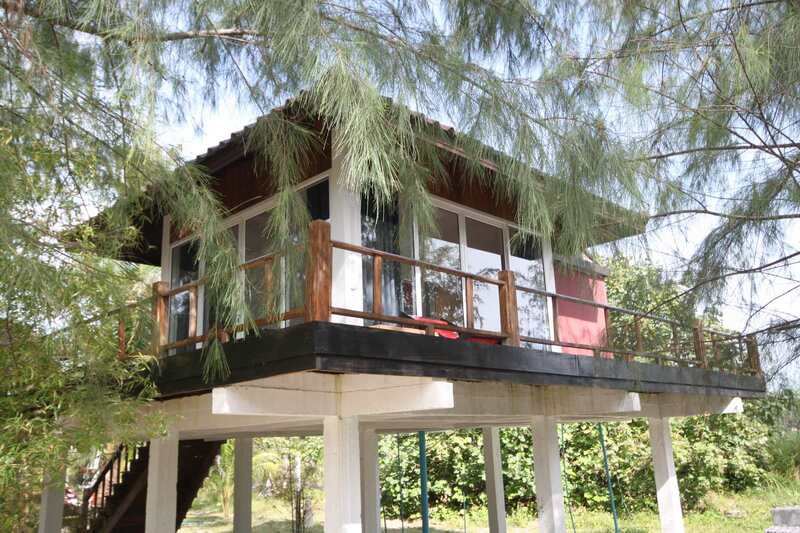 The bungalow is raised above ground with a staircase to access, the bungalow terrace has a small wooden fence all round. 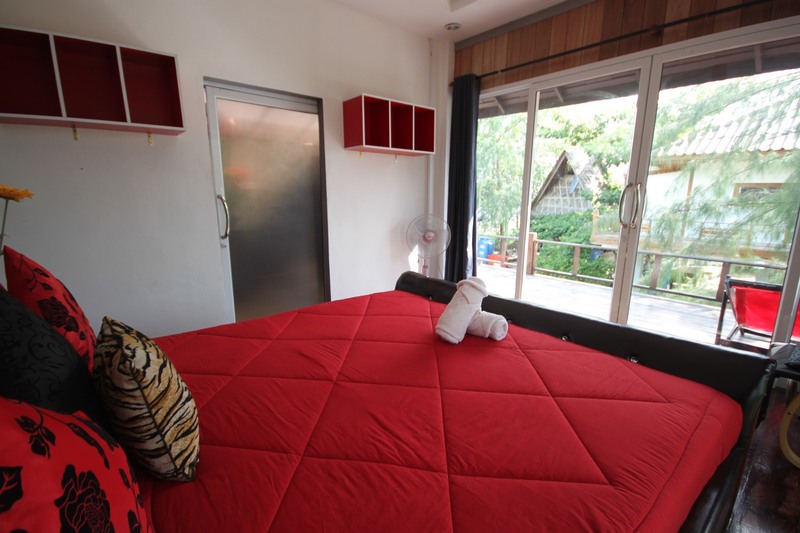 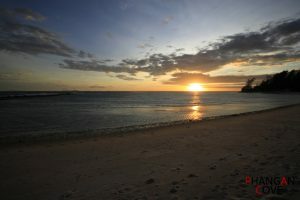 The bungalow is very close to the beach and less than a minute walk, with nice views towards the beach, Phangan Cove restaurant and other bungalows of Phangan Cove. 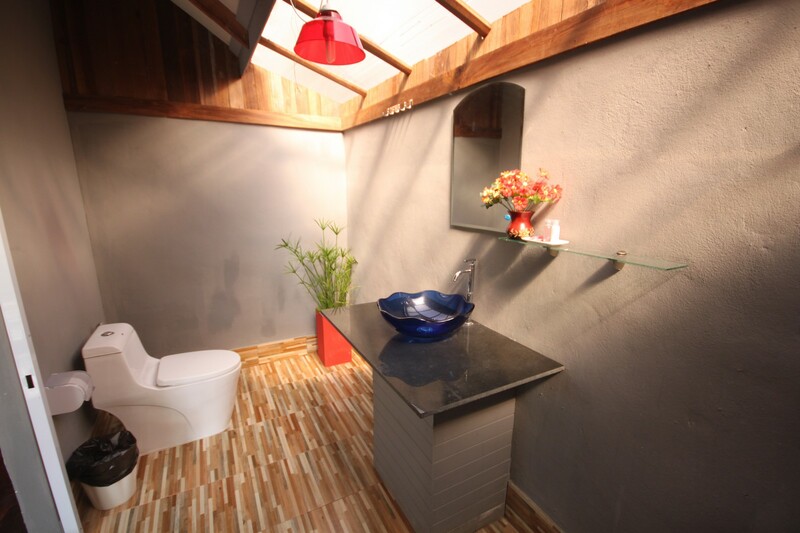 A comfortable and quiet spot with all the facilities of the resort at a stone’s throw away. 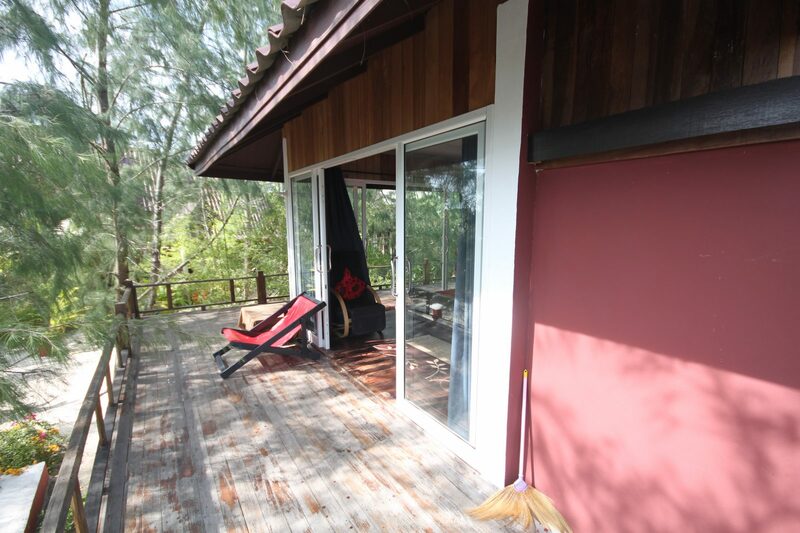 This is a WiFi zone free of charge.